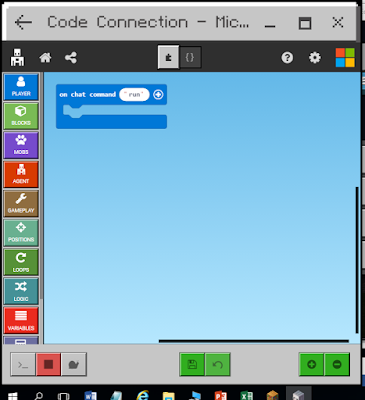 Jammy blog: M:EE Make Code blog 1: Getting started. 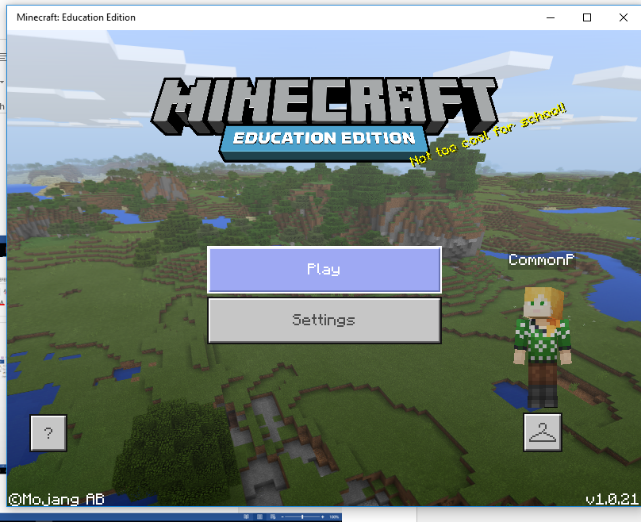 Getting started with Make Code and Minecraft: Education Edition. 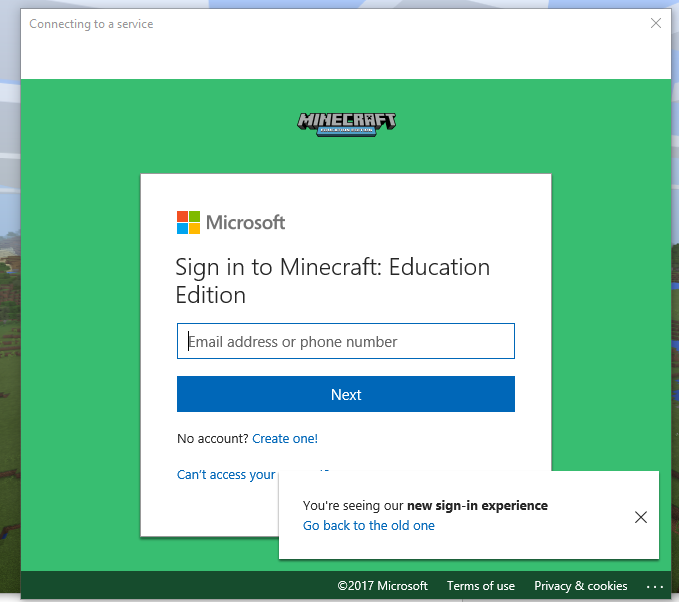 Step 1: Log in launch M:EE you will need a valid log in. Step 2: Once you have validated your log in then select play. 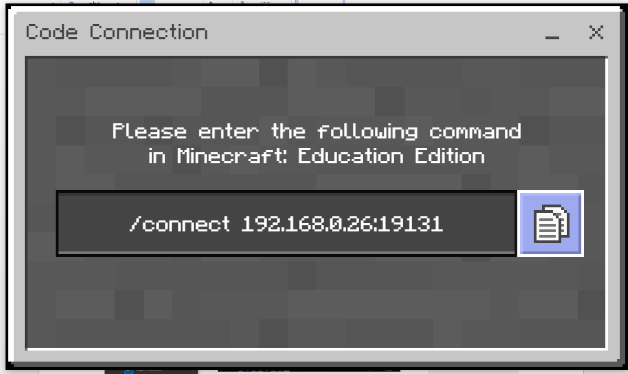 Step 2: Load up a new world, or use an existing one. 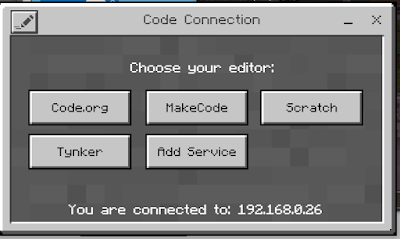 Step 4: Load up the Make code on website https://minecraft.makecode.com/ and open new project. 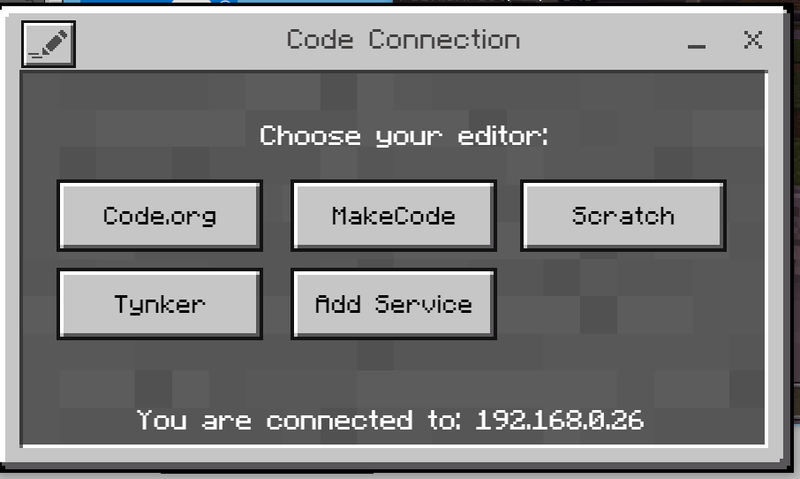 This step may not be needed but was the only way I have found so far to get Make Code to launch. Step 5: Switch to the Code Connection app and copy the IP address. 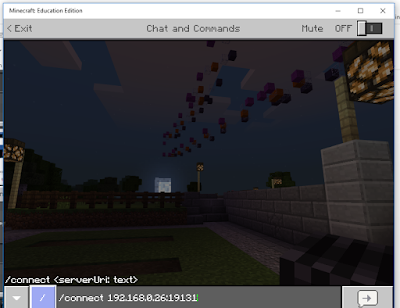 Step 6: In M:EE press 't' on the keyboard to open chat, paste in the server address by pressing control v. Press enter to execute. However I found it to be a little bit hit and miss so you may need to try a few times. This might just be my isolated experience. Step 8: Chose which ap you would like to use I chose Make Code. This should then appear on the left half of the screen like thus with M:EE on the right. 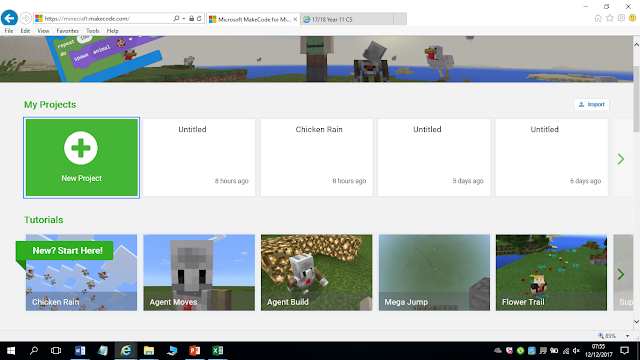 Step 9: See the next blog for your first coding adventure.